If you lose your keys, the first thing you should do is start all over again trying to think where you may have lost them – or more likely where you could have left them. The vast majority of keys that seem to be ‘lost’ one minute, then turn up again the next under a jumper, between the cushions of a sofa or in a pocket of a handbag within a few minutes of searching. 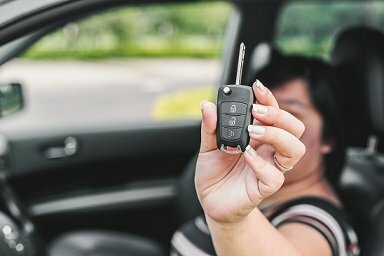 If even a calm and objective search doesn’t turn up your lost keys, call Mirolocks and we’ll send a Mobile Car Key Cutting London locksmith out to help you. No matter where you are in South London, we’ll come to you. This is vastly better than contacting your main dealer and much more affordable too. Before they’ll replace a lost key for you, a main dealer will expect you to present your V5 document to them at the dealership. They’ll then order up a replacement key fob for you, but once it arrives it will still need to be programmed to the car. Which means that you will somehow have to get a to which you have lost the key along to the dealership’s workshop. Choose mirolocks for Replacing lost car keys in South London & quality services. Replacing lost keys in South London come to you, usually within an hour of your call. Our vans have a complete mobile London locksmith’s workshop on board. Our locksmith will open your for you, and will then cut a replacement key, replacing your lost key. He does this without needing to have another key as a pattern, which is useful as having lost your keys without a spare is the reason you’ve called us out. Once we’ve cut a new key for you, we’ll program the key so that it can communicate with your car’s immobiliser system. You can then be on your way. If you’re trying to replace stolen keys, the process is not dissimilar to that of replacing lost keys London. However, our locksmith will decouple the key that you have lost from your Broken Car Keys London so that if someone really has stolen it they would be unable to come back later and use it to steal the vehicle. Once we’ve done this, we’ll use our on board key cutting machines to make a replacement key for you, and then reprogram the key for you. We can cut and program keys for just about any model and make of car. This of course includes providing replacement Ford keys, replacement Audi keys, replacement VW keys, replacement Renault keys, replacement Fiat keys, replacement Mini keys, replacement BMW keys, replacement Lexus keys, replacement Mercedes keys, replacement Vauxhall keys, replacement Peugeot keys, replacement Honda keys and replacement Citroen keys & Auto Key Programming London amongst others. Don’t waste days and spend a fortune replacing lost keys through your main dealer. If you’ve lost your keys and have no spare, make sure you call us first.